Today we are reviewing the Snugglesafe CoolPod. What is the Snugglesafe CoolPod? A rigid plastic cooling pod for pets. 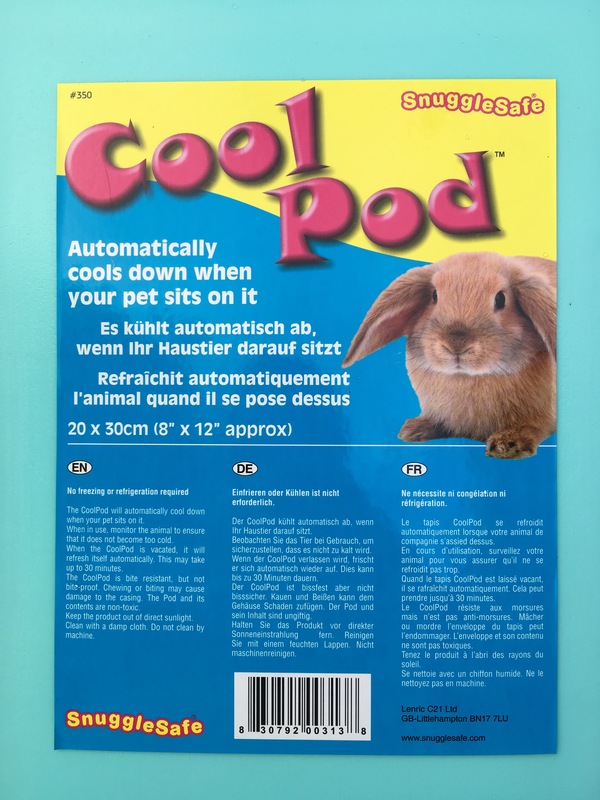 Cools both pod and environment around pod when pets sit on it. Recharges by being left in a cool place. Where Can I Buy A Snugglesafe CoolPod? 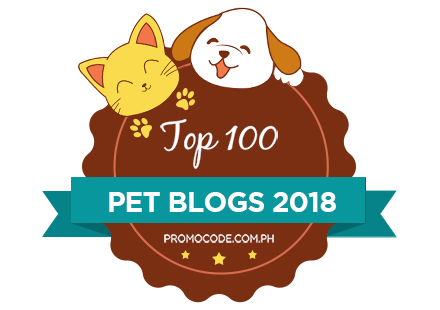 Various online shops, Amazon, Pet Planet etc. Usual best price £9.99 at SnuggleSafe. Snugglesafe offer our followers a special 10% off all retail orders until the end September 2017. Please call 01903 730811 mention code ‘Coolpod10%’ and receive an extra 10% off the whole order. At 30cm x 20cm the CoolPod is about the same size as an iPad. I love that the CoolPod is easily portable, it would easily fit into pet carriers to take to the vet, shows or on holiday etc. Despite the portability of the CoolPod; multiple Guinea Pigs can easily use the CoolPod at the same time. Doughnut and Miley thought the CoolPod was the perfect bed for hot days. 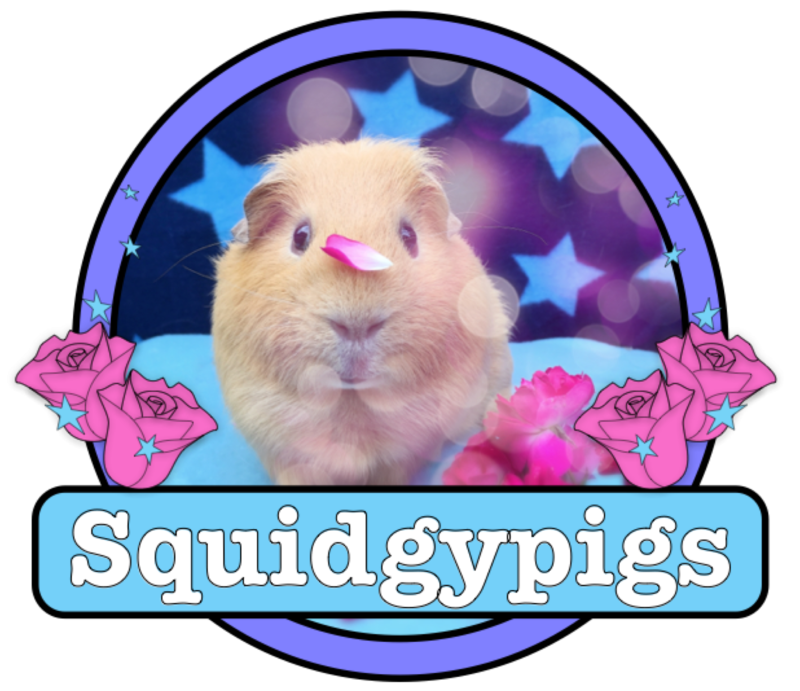 On the hot days that we tested the CoolPod the Squidgypigs were genuinely attracted to it, choosing to sit, lay and even eat on it. I love the fact that the CoolPod needs no wires or batteries (which are obvious hazards) but best of all the CoolPod doesn’t need freezing so avoids that wet frozen feeling as well as not taking up space in your freezer! I cannot comment on rabbits (for rabbits are naughty things…) but none of the Squidgypigs showed any interest in chewing the CoolPod. The CoolPod is made of very tough plastic and I would imagine it would take some time for a pig to damage. 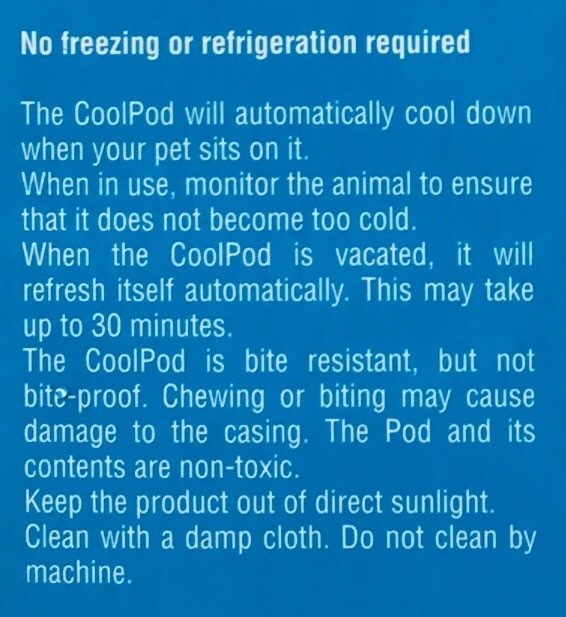 It’s reassuring that everything about the CoolPod is non toxic anyway, so any freak accidents will not harm your pet. Because the CoolPod doesn’t need to be frozen it attracts no condensation or moisture therefore the CoolPad doesn’t need a cover to protect your pet from getting wet. 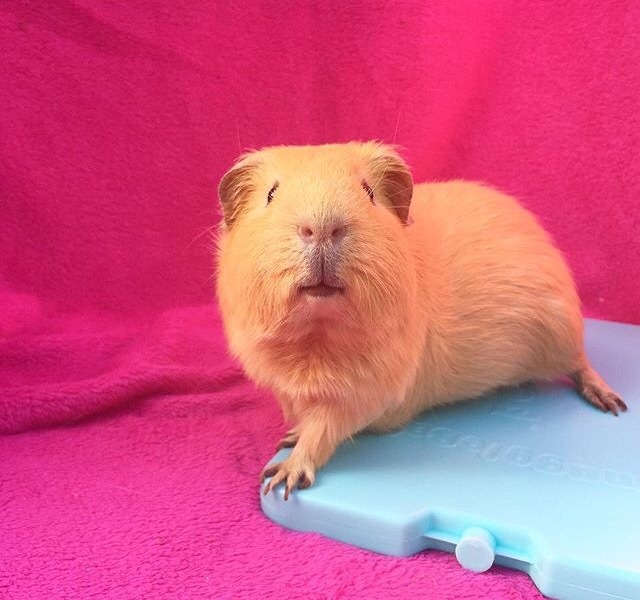 However it should be noted that the CoolPod can be a little slippery for Guinea Pigs with long nails or hairy feet (the elderly girls have both even with trimmed nails, sorry girls there is no dignity in reviews..). I can confirm that you can cover the CoolPod with a fleece blanket without effecting its’ function. As you can see from the pictures though this simply isn’t necessary most of the time. 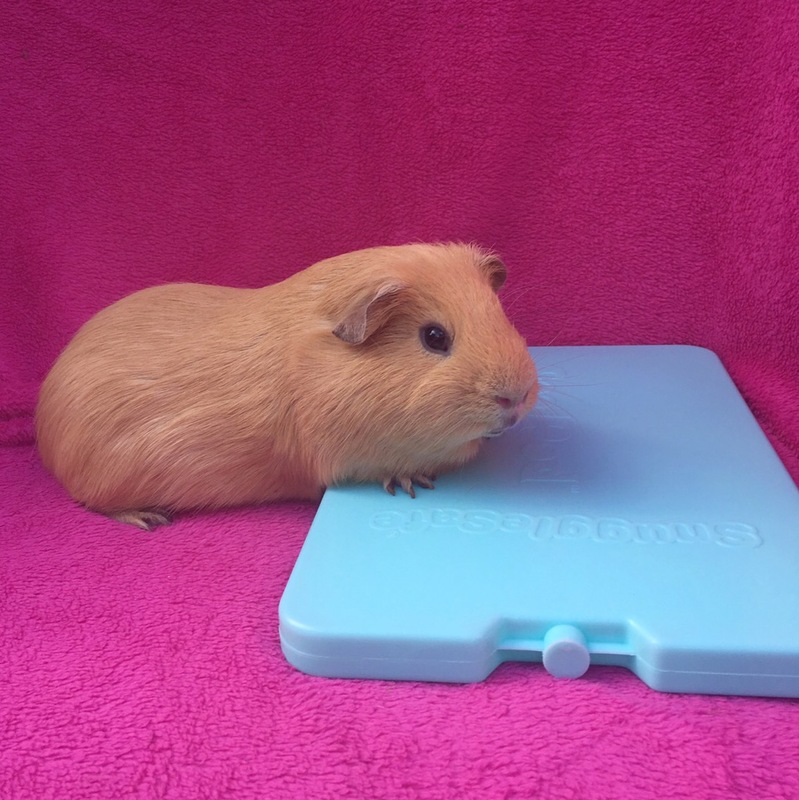 The Snugglesafe CoolPod promises a safe effective, wire-free, freezer-free way of cooling your Guinea Pigs in hot weather; and it delivers on every front. As someone whose skin burns whilst sitting in the shade, wearing factor50 I feel great sympathy for Guinea Pigs (and other pets) who cannot escape the heat. The Snugglesafe CoolPod is a great way to cool them on hot days. 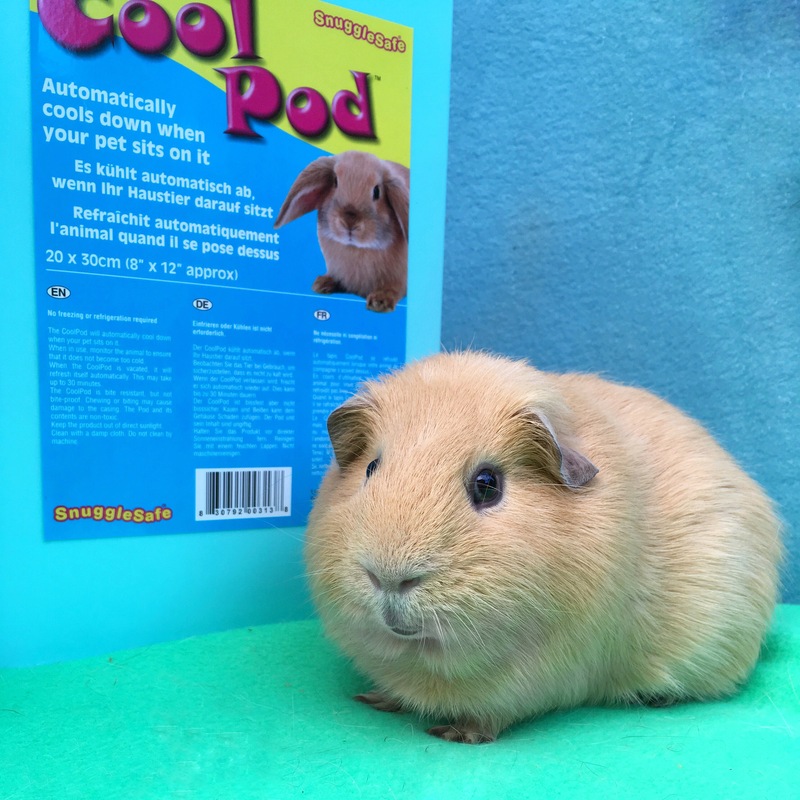 Reasonably priced and easily available; the Snugglesafe CoolPod has to be a Guinea Pig must have this summer. 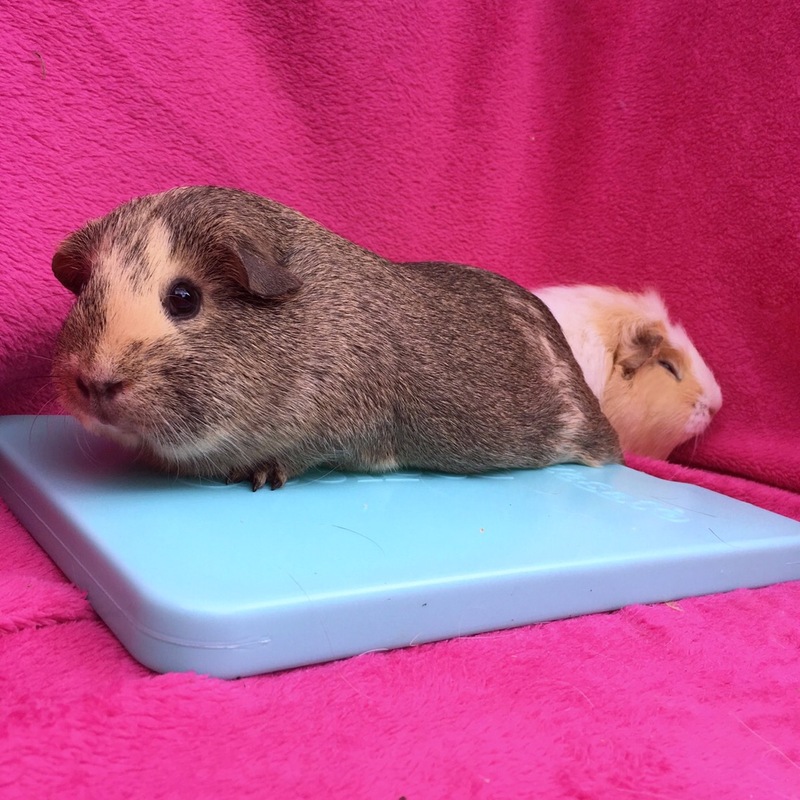 For additional hot weather Guinea Pig tips visit our guide HERE.